Chelsea are now 10 points behind leaders Manchester City after 15 matches played this season and the latest defeat could not be explained by their head coach Maurizio Sarri. The Blues lost 2-1 to Wolverhampton Wanderers on Wednesday night to make it two defeats this season and only nine wins. 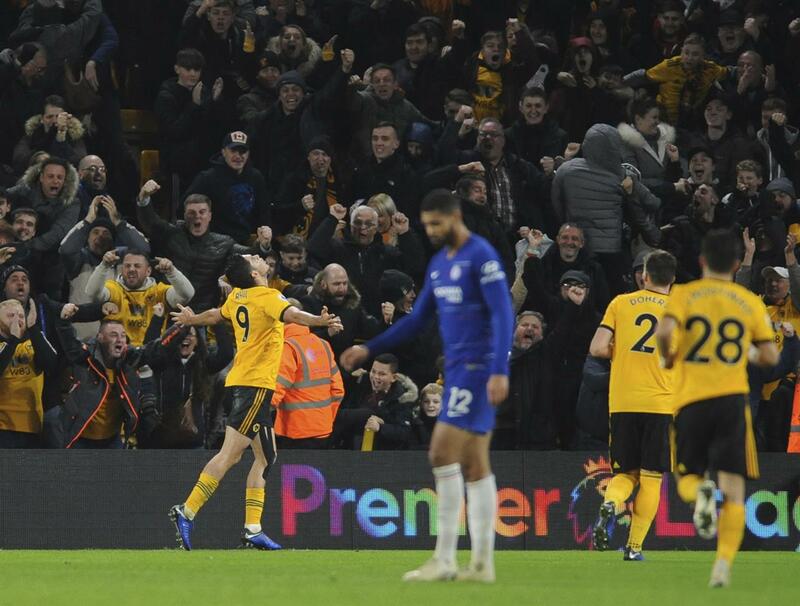 Despite gaining over 70 percent of the possession against Wolves, Chelsea failed to find a way past the Wanderers the moment they managed to get back into the game. After taking the lead through a fluke Ruben Loftus-Cheek goal in the first half, Chelsea were pegged back by Raul Jimenez’s strike on the 59th minute before Jota added a second only four minutes after. Chelsea crumbled after that and failed to launch any sort of comeback threat although they registered 17 shots on the night. Sarri insists his side lost confidence and failed to react to the goal for the remaining 30 minutes played after conceding the second goal. “I think we played very well for 55 minutes. After the first goal — an accident because we were in full control of the match — we were suddenly another team. I don’t know why. I am really very worried, not for the result, but we didn’t react to the first goal at all.